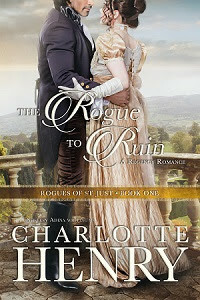 NineteenTeen: Welcome "Debut" Author Charlotte Henry and the Rogues of St. Just! 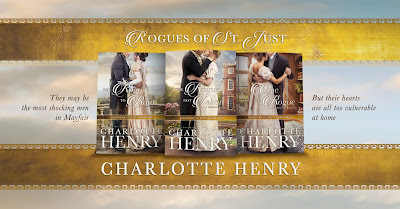 Welcome "Debut" Author Charlotte Henry and the Rogues of St. Just! Marissa and I always love finding new stories set in our beloved Regency period. 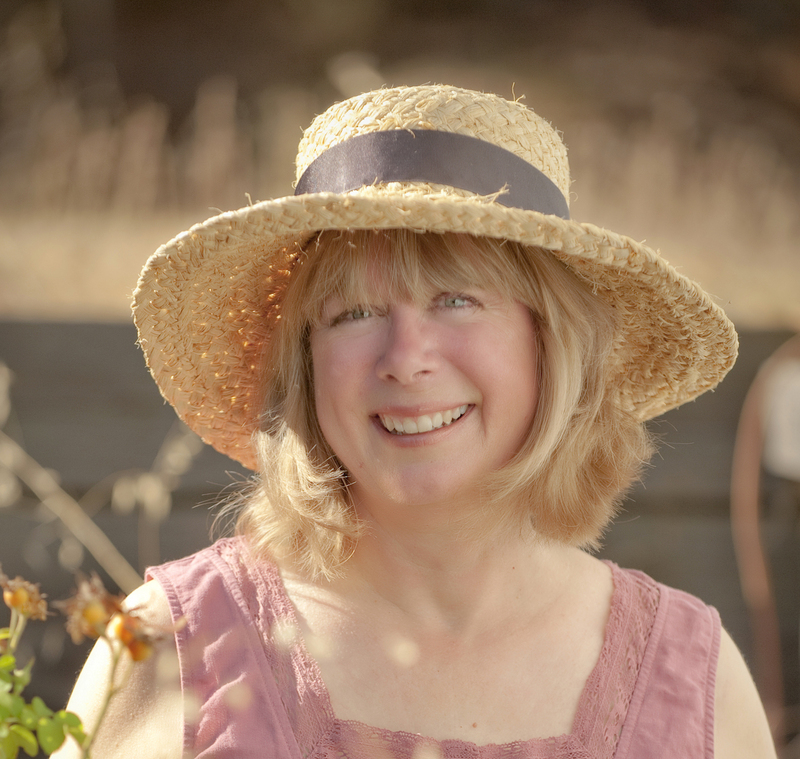 That's only one of the reasons we are thrilled to share this interview with Shelley Adina, writing as Charlotte Henry, whose first Regency romance came out March 20. Please welcome Charlotte, and be sure to come back Friday for more on her new series! 19Teen: Though you are making your debut in the Regency period, you are, shall we say, connected to another author renowned for writing thrilling steampunk adventures. What drew you to the Regency period? Charlotte: Yes, we are very intimately connected! While I’m writing the Magnificent Devices series, I’m very much aware of the language—Victorian, more precise, with slightly different meanings to words and different sentence structure than today’s use. So as far as the writing went, it was more of a sidestep into the Regency than a leap, because I can use those same skills. I made some odd discoveries in my own writing space ... research text after text came to hand. Notes from a Beau Monde conference in the nineties. A photocopied compendium of Regency terms and cant that I’d bought nearly 30 years ago. All were squirreled away, just waiting for me. I literally only had to buy one reference book on the Cornish china clay industry in order to begin work on the Rogues of St. Just series. I had everything else on my shelves, just waiting for me. 19Teen: The Rogue to Ruin is the first in a series, and your heroes are all rogues. We heart rogues at Nineteenteen. Why do you think they have such an appeal? Charlotte: Ah, the bad boy redeemed by love! We romance readers love them. Part of their appeal, I think, is that secretly these heroes are turning to the dark side because there is an emptiness inside them that only the heroine can fill. And I have to admit that I love the courtship story because something entirely new is created from the bond of two separate individuals. This bond is the hero’s reward ... and the reader’s! 19Teen: Tell us something about The Rogue to Ruin. Charlotte: He is a penniless baronet. She is the wealthy great-granddaughter of a tradesman. Can these childhood friends find their way back to each other when scandal strikes them both? Sir Perran Geoffrey needs a wealthy bride to repair his family estate and to bring his sister out in Society. But what woman with money and standing will accept him as a husband—practically penniless, his title under a cloud thanks to his ne’er-do-well father, and an estate far away in Cornwall? Alwyn Penrose and her two sisters are in London for their first Season. Imagine their surprise when they meet the heirs of the neighboring estates—gentlemen whom they are barely allowed to acknowledge. For to be seen with the Rogues of St. Just means the death of one’s reputation. Except that Alwyn is seen. More than once. And the gossip spreads all the way to the sacred portals of Almack’s, which close in her face and end her hopes for a good marriage forever. The ruin of her Season is Perran Geoffrey’s fault. And when they are both forced to return to Cornwall, only one thing is clear: One good ruination deserves another. 19Teen: This story is a classic Regency romance, yet your heroine Alwyn has another goal besides marriage. What’s so important to this Regency miss? 19Teen: What was your best research moment writing this book, when you gasped in delight and knew you had to put that in the book? Charlotte: China clay! I needed something that would have made the family rich in prior generations. When I read that Cornwall is one of the few places in the world where this fine white clay can be dug out of the ground, I knew I had my family income source. And Alwyn’s desire to paint fit right into that. It wasn’t much of a leap, then, for her sister Karensa to become a sculptor. 19Teen: What bit of research surprised you the most, even if it didn’t make it into the book? Charlotte: It was quite a surprise to discover in the books I’d bought in Cornwall in the 90s (see? even then I was buying Regency research books and I wasn’t even published yet) that the smuggling industry was seen by everyone as a perfectly legitimate and practical way to make a living. Even the clergy would leave the vestry door open. Barrels of brandy would come and go discreetly in the dead of night, with an offering left in the plate as a thank-you. So I did use this surprising bit of research. In that place at that time, when Sir Perran is desperate for money, the solution he seeks would be viewed as unusual by no one. Except possibly the preventive men, whose business it was to prevent the success of the gentlemen of the free trade. 19Teen: If you were to make your debut in Regency London, what would you look forward to? Charlotte: Visiting all the best warehouses and having all kinds of lovely dresses made up! As it stands, I must make them myself. I just got a pattern for a set of short stays. Once those are complete, I have some royal blue silk and some antique black lace given to me by literary agent Wendy Lawton that I’m going to make up into a ball gown for the RWA National Conference in 2020. I even have a tiara. 19Teen: What would you dread? Charlotte: The way people talk. It seems to me that gossip is a potent weapon even today. It becomes a strong theme in The Rogue to Ruin. Oh my. Silk satin. I should not dare to sport dampened muslin! You're going riding in Rotten Row at five! Will you wear a plain black wool riding habit or a peacock blue one with frog fasteners and epaulettes? Peacock blue, definitely. I look terrible in black. Goodness. How pretty the fastenings and epaulets are. I may have to write this ensemble into the next story! What's your favorite London destination--Almack's or Astley's Amphitheatre? I adore dancing. If the Lady Patronesses approved of me, I could happily dance all night in society’s seventh heaven! What is your next borrow from Hatchard's lending library--Sermons to Young Women by Mr. Fordyce, or The Monk by that fascinating Mr. Lewis? ::whispers:: . Isn’t it scandalous? But I declare I cannot put it down! Three different gentlemen are clamoring for your hand in the next waltz! Whom do you choose? Mr. Farthing, an accredited fortune-hunter but divine dancer, the Marquess of Overstuff, with a pedigree a yard long but no conversation, or your dear, sweet seventeen-year-old cousin Waldo with spots who is attending his very first grown-up ball and is terrified of asking anyone else to dance? Darling Waldo just needs a little encouragement. He has the steps down cold—fortunately, his dancing master was thorough—and a little style goes a long way in a country dance. After two dances, I will accept a waltz from Mr. Farthing, who can make any woman look like an angel in flight. You're perishing of thirst after that waltz--would you rather ratafia or lemonade? Ratafia would not help thirst in the least ... I will choose lemonade. 19Teen: How can readers learn more about you and your books? Charlotte: I am at home to readers at www.charlotte-henry.com, where there are photographs of Trelissick, the manor house I used as my model for Morvoren Manor. Morvoren is the Cornish word for mermaid. There are a number of legends of mermaids along that coast ... one of the most enchanting places I’ve ever been. I hope readers will join me in my fictional parish of St. Just—they would be most welcome!